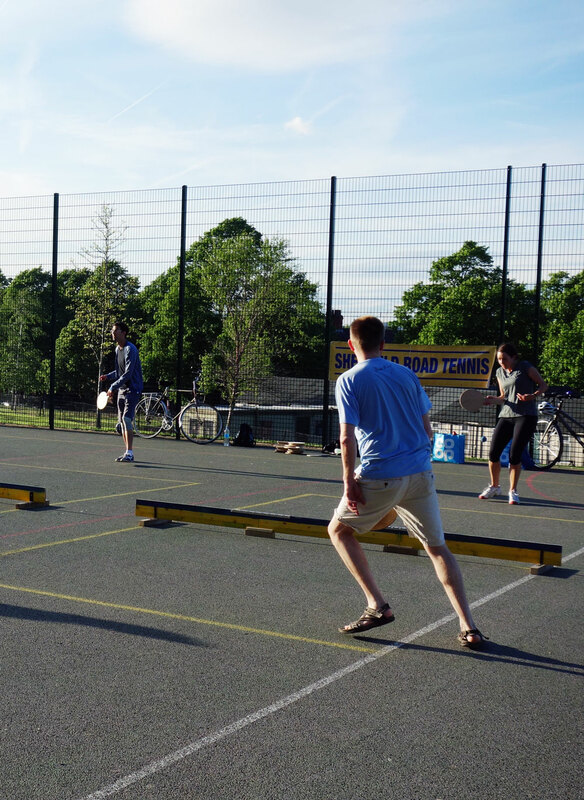 Road Tennis is a cross between lawn tennis and table tennis. Indigenous to the Caribbean island of Barbados, we are now playing it right here in Meersbrook. Legend has it that Road Tennis was invented in Barbados in the 1930s as the ordinary person’s version of lawn tennis. Still under oppressive colonial rule and with significant racial and social inequality, road tennis grew within Barbados’ impoverished black communities, who were not able to access exclusive lawn tennis clubs. Out of this came something fantastic! Necessity meant that the equipment used had to be cheap and easy to get hold of. Bats and nets were simple pieces of wood, and balls made from disused tennis balls with the outer fur removed. Courts were marked out on public roads, often in the middle of clusters of houses, providing entertainment and audience participation. The game has continued to develop, and whilst there is now a professional element to road tennis in Barbados with big-money prizes available, much of the play remains in community spaces and embedded within community life. I played road tennis regularly whilst I was living in Barbados. It’s addictive and a really fun game to play. I also feel that it embodies how sport should be. The equipment needed is pretty minimal and can be made at home; no special shoes or expensive rackets means that it’s accessible to everyone. I also like the way the game is played. As a beginner you can just pick up a bat and play, there aren’t any particular skills you have to learn, you can just have a go. Part of the fun is developing your own techniques as you go along. Unorthodoxy, often stifled in many sports, is king here. My husband has recently developed what he calls ‘the super serve’, an almost un-returnable serve that skids just over the net. I have no idea how he does it! And that’s part of the fun – trying out trick shots and different spins and slices. This is a game of craft and cunning, not about fitness, gender, age or agility. In fact, rumour has it that road tennis players peak once they’re over 40 – there aren’t too many sports you can say that about! I also like the community spirit that drives road tennis, and this is something we’re trying to recreate here in Sheffield. 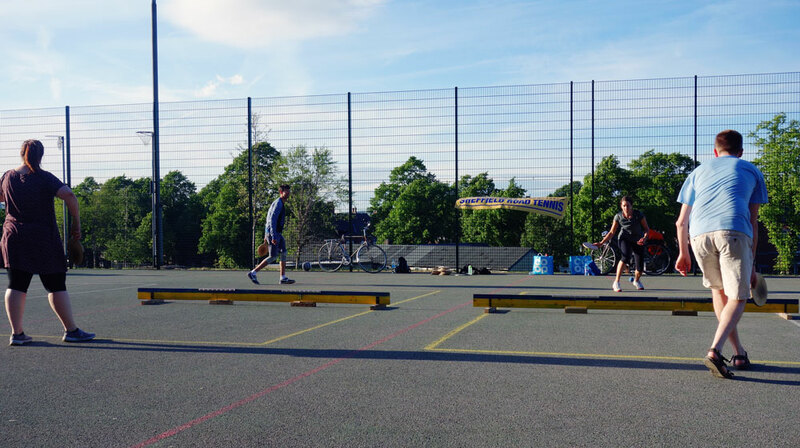 Traditionally the courts are in a public space, with a net left at the side of the court, so anyone can come along and play. The sessions we’re running in Meersbrook Park work on a similar principle, trying to make the most out of our great community spaces, and as a way of meeting new people. Finally road tennis is just really fun! You can have crazy rallies that seem to go on forever and silly shots that come out of nowhere. We’ve had the pleasure of getting to know new friends, from lots of different walks of life. I don’t think I’ve laughed so much playing sport before and that’s what sport should be about. 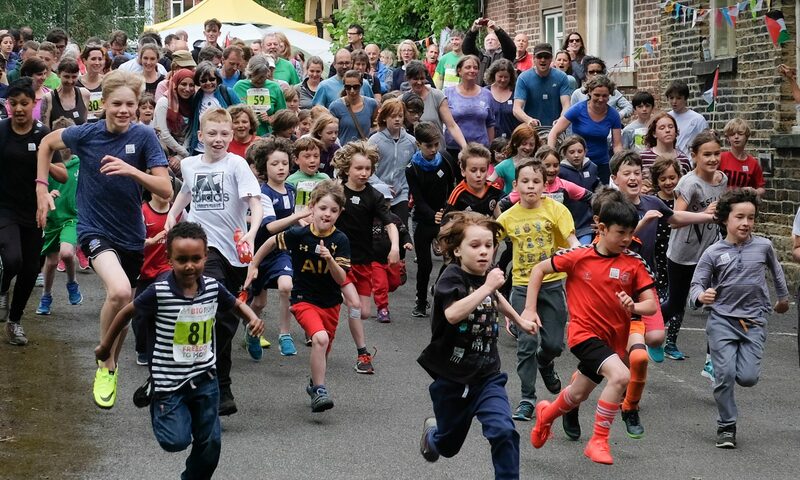 We’ll be supporting the Small Park Big Run event and will be there from 2-3.30 on Saturday 10th of June. Do come along and have a go! We’re also at Meersbrook Park multi-sports area 6.30-8pm every Tuesday night, come and join us! Everyone is welcome (and it’s free)! Previous PostPrevious Champion from Champion!